Tens of thousands of festival fans have poured into Splendour in the Grass for the start of the festival. IT was Coldplay's shortest visit to Australia, but the celebrated English band had time enough to impress 30,000 fans as they closed the three-day Splendour in the Grass Festival at Woodfordia in Queensland. "It's not really the sort of place you'd come to for a day," said bass player Guy Berryman just before the show. "But we'll be back at some point in 2012 to do a proper tour." The four-piece arrived in Australia on Saturday from Japan and leaves again today after their one-off headline performance at the festival, which included five songs from a new album due for release in October. The new tracks, such as Every Teardrop is a Waterfall and Major Minus, bear all the hallmarks of the band's bombastic anthems Fix You and Yellow, which were also fixtures in last night's show. "When we started making this record we wanted it to be a small acoustic-sounding album," said Berryman, "but now it couldn't be further from that." 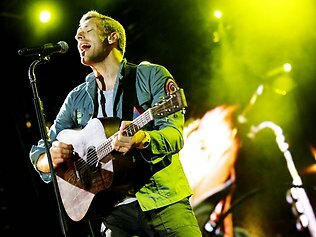 Coldplay last toured Australia in 2009, which included their performance of You're the Voice with John Farnham at the Sound Relief benefit concert in Sydney. "That was a lot of fun," Berryman said. Including Coldplay, it was a day of Britpop at the Splendour site's main amphitheatre, with English acts Pulp, featuring Jarvis Cocker, Elbow and Kaiser Chiefs following local bands The Vines and Cloud Control. Also featured over the weekend were American headliners Kanye West along with veteran rock band Jane's Addiction. The Living End, the Panics, Sparkadia, Architecture in Helsinki and Pnau were among the leading Australian acts. Splendour in the Grass is in its 17th year and has been based in Byron Bay in NSW for most of that time. 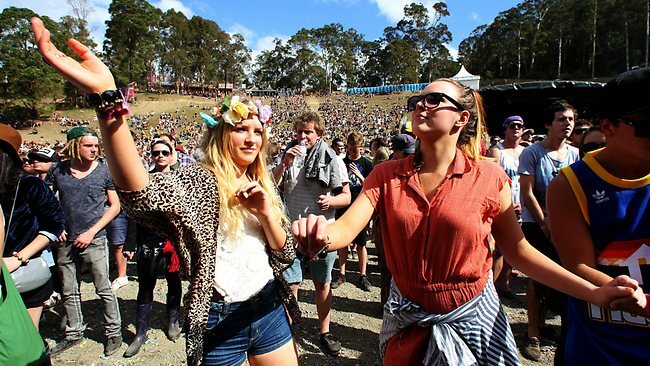 Festival organisers hope that after two years of temporary residence at Woodfordia, home of the annual Woodford Folk Festival, Splendour will be able to move to its new proposed site at North Byron Parklands in Yelgun near Byron Bay next year. Splendour acquired the land there in 2006 and has been awaiting final approval from the NSW government. Objections to the festival have been raised by some residents over environmental concerns. Co-promoter Paul Piticco said that a move back to Byron next year would be dependent on approval, if granted, in the next three to four months. Australia is set to host more music festivals than ever before, with the just-announced touring Harvest festival later this year the latest added to the list. The mansion on wheels is two stories of awesomeness -- with satellite TV hookups, customized everything ... and "pop out" sections which expand to make the trailer EVER BIGGER! Dannika tells The Sunday Mirror, "Amy was already my mother. I would call her mum and she would call me her daughter. She took care of me and we had fun together. I loved her and she loved me ... She was the most amazing person and I was looking forward to living with her here or in London. I cannot believe she is gone. This is the worst thing that ever happened to me." Dannika's grandmother Marjorie says she spoke to Amy a few weeks ago and that Amy planned to return to St. Lucia next month. She told the paper, "Amy wanted to have a child so bad. If she had not died, there is no doubt she would be here in St Lucia completing the adoption process. There is no way she would have done what she did to herself if Dannika was with her." Both of Dannika's parents had signed off on the adoption. 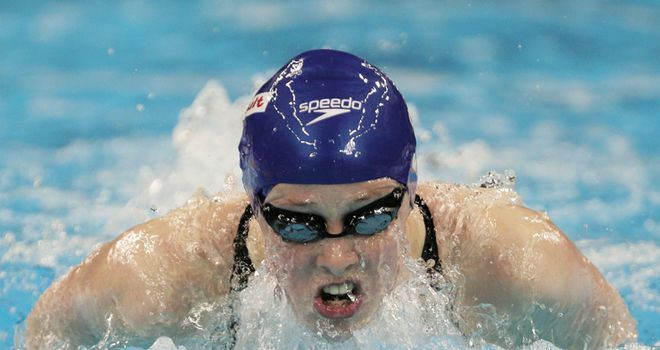 Hannah Miley produced a storming finish to take the silver medal in the 400 metres individual medley at the World Championships in Shanghai. The European and Commonwealth champion was only sixth at the halfway point but a superb breaststroke leg brought her up to third with 100m to go. The Garioch swimmer touched in four minutes 34.22 seconds to claim Britain's second medal of the night and fifth in total in the pool. American Elizabeth Beisel was first and Australian Olympic champion Stephanie Rice was third. 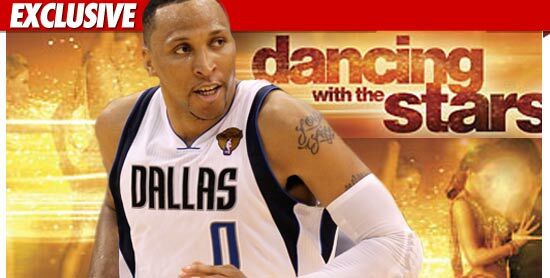 Dallas Mavericks star Shawn Marion isn't taking any chances with the NBA lockout -- in fact, he just turned down "Dancing with the Stars" ... to make sure he's free to practice with his team this fall. Sources close to Shawn tell TMZ, "Dancing" sent him an official offer to appear on the show, but the NBA champ wants to make sure he's 100% available in case the lockout ends early ... so it's a no go. "Dancing" would end in November and NBA season usually starts in October -- which could put Marion in a difficult position if the upcoming season isn't put on ice. We're told Shawn is adamant ... he just doesn't wanna be caught with his pants down -- or in this case, his leotard. LOOKING happy and relaxed, the Queen's eldest granddaughter Zara Phillips and rugby player Mike Tindall have emerged as newlyweds after a ceremony lasting less than 50 minutes in Edinburgh. The blonde bride, 30, daughter of Princess Anne, was just three minutes late arriving at Edinburgh's 16th Century Canongate Kirk for her 3pm (local time) wedding to Tindall, 32, on Saturday. Successive cheers went up from the crowd, estimated by police to number 6000, as limousines emerged from the Queen's Scottish residence, the Palace of Holyroodhouse, ferrying royal guests to the church. The loudest cheers were reserved for car number three, a black Jaguar, carrying front-seat passenger Prince Harry and, in the rear, Prince William and his wife Catherine. On arrival at the church, just 400 metres away, Catherine emerged in a matching Butterscotch fitted jacket and skirt. 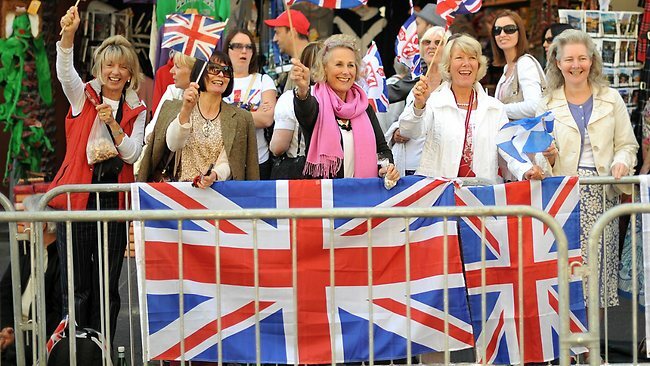 Prince Charles and his wife Camilla, wearing an elaborate floral headdress, also attracted a flurry of flag-waving from the crowd. In the second last car came the Queen, dressed in apricot, smiling and waving from the rear of a Bentley, while Prince Philip, seated beside her, could be seen telling the driver to slow down for the crowd, who were held back by steel barriers. Zara could barely be seen in the rear of a black Bentley, seated beside her father Captain Mark Phillips. Zara wore an ivory silk gown by designer Stewart Parvin and shoes from Jimmy Choo. The crowd gave an enormous cheer as she arrived to reveal the ivory silk faille and silk duchess satin gown by the British and Edinburgh-trained designer. Zara, 13th in line to the British throne, who was not granted a title at birth at the request of her mother, the Princess Royal, has always shunned the airs and graces of royalty. The champion equestrian and English rugby representative Tindall do not live off the public purse. Royal guests returned to the palace to the sounds of a pipe band playing in the gardens, while other guests were ferried in by coach for a reception hosted by the Queen. 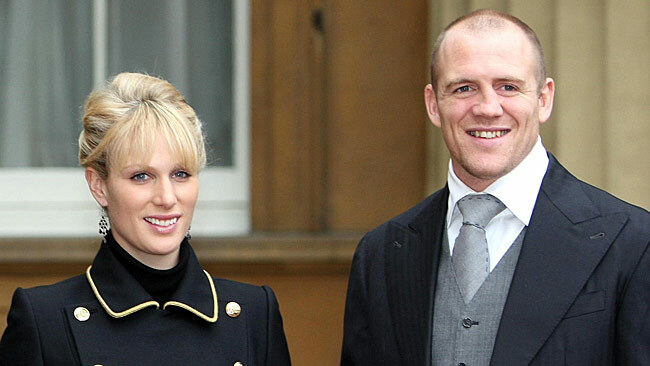 ZARA Phillips won't change her name when she marries England Rugby hero Mike Tindall today. Zara, 30, is a world-class equestrienne who is well-known across the sporting world by her present name. Queen Elizabeth's eldest granddaughter is believed to have made the decision to keep her own name because of her career as a sportswoman. Zara is not an HRH (Her Royal Highness) but just a plain "Miss", a decision taken at the insistence of her mother, Princess Anne. Thousands have gathered in Edinburgh's Royal Mile for the couple's wedding, which had been billed as a private family affair. Around 30 people had camped out overnight to ensure they had a front-row view of the event. Many had brought sleeping bags and deckchairs as they eagerly waited to see the bride and groom. The nearby Palace of Holyroodhouse, the Queen's official Scottish home, is the venue for the wedding reception and likely to stage the evening dinner, where best man Iain Balshaw, Tindall's former Gloucester and England teammate, will give his speech. Among the church's distinctive pale blue pews, senior members of the royal family will be seated, including the Queen and Prince Phillip, Prince Charles and the Duchess of Cornwall, and Prince Harry. Prince William and his wife, Kate, are also expected to be among the royal guests, along with Zara's brother, Peter Phillips and wife Autumn, and the Duke of York and his daughters, Princess Beatrice and Princess Eugenie. Taking pride of place at the church will be Zara's parents, the Princess Royal and Captain Mark Phillips, with their spouses, Vice Admiral Timothy Laurence and Sandy Pflueger respectively, and the groom's parents, Linda and Phil Tindall. England's leading rugby names are also expected to attend. 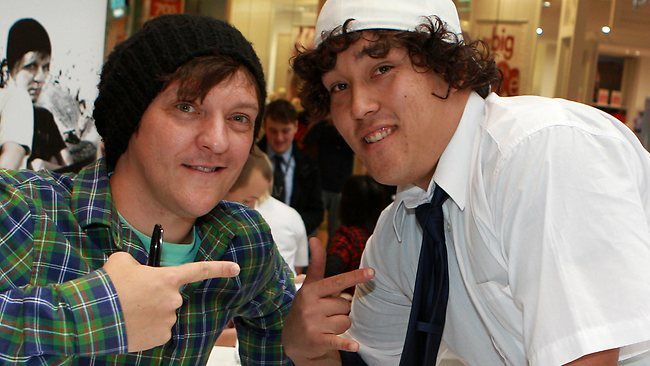 "I have been waiting for years for this"
ANGRY Boys creator Chris Lilley was greeted by 400 of screaming fans when he showed up at Chadstone Shopping Centre in Melbourne. The star, who has become Australian television's biggest cult figure, was flanked by security when he greeted the huge crowd. The scene was a far cry from the lonely visit his character S.Mouse makes to a shopping mall in the Angry Boys series. Fan Putera Bagus Putu, 25, travelled from Geelong and dressed as Jonah a character from Summer Heights High, to meet his idol. "I have been waiting for years for this," he said. "Some people don't get his humour but I just love the way he plays his characters. It is so true." Chelsea Petrie, 13 from Rowville said the wait to meet Lilley was worth it. "He is such a nice guy. People said he was really shy but he is not really," she said. 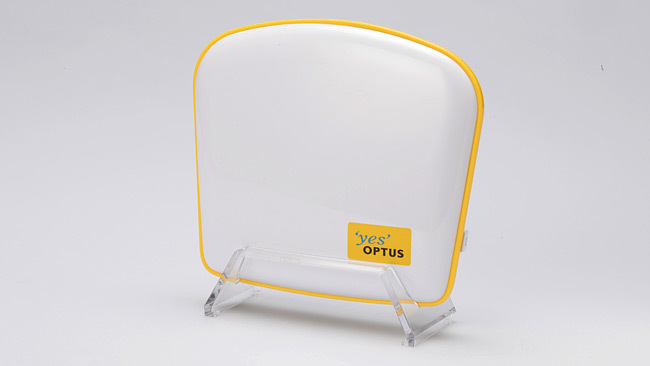 OPTUS has launched a new product to fix mobile phone blackspots in the home, but says that won't stop it working to improve its overall coverage. The telco's 3G Home Zone is the first major push for femtocell technology in Australia. The idea is that you plug the device into your broadband modem or router, and it creates a 3G network covering the house. "No mobile network can guarantee great mobile coverage throughout a home if you have thick sandstone walls, upstairs, downstairs," said Optus consumer marketing director Gavin Williams. "The Home Zone allows you to have dedicated personalised coverage ? 5 bar coverage in your home." The device costs an extra $5 per month on a 24-month plan for customers on certain plans, and users can nominate up to 12 people to access the network it generates. In global terms femtocell technology is relatively old, but Australia has been slow to adopt it. Vodafone has experimented with the technology in the past, but had problems securing the networks. Two years ago when Vodafone UK released the "Sure Signal" femtocell, hackers discovered a security flaw that allowed people to listen in to phone calls made on the network. Mr Williams said Optus was confident that wouldn't happen with the Home Zone. "Optus is comfortable that the device is secure," he said. "There's been a number of generations of devices that have developed security over the years, so we?re comfortable it?s a secure service." Another criticism often made of femtocell technology is that it forces customers to shoulder the cost of fixing blackspots, instead of telcos. Mr Williams said that while the femtocell device solved mobile phone reception problems in the home, it was not an alternative to fixing poor coverage areas. "Over the next year we're deploying 700 base stations across Australia and in the past three years or so we've invested $1.6 billion in infrastructure and installed 660 odd base stations," he said. Telecommunications analyst Foad Fadaghi told news.com.au Australians should be aware that any femtocells sold now may need upgrades in the future. "The terms of the deal are 24 months, and over the course of the next 24 months most of the carriers will be launching LTE or next generation 4G networks," he said. "Consumers have to be conscious that they might need to upgrade these devices down the track as well, think about that in the context of going into 24 month contracts." Mr Fadaghi said he didn't foresee any device upgrades being problematic for users, however another thing to consider was how much internet traffic the Home Zone consumed. "There will be some costs associated with data traffic over the home network," he said. "Even a light user is supposed to use approximately one gig of data. ?What would be ideal for Optus would be to provide that (data) unmetered to its customers, particularly its broadband customers. "At this stage they haven?t decided to do that." Mr Williams said individuals needed to take their individual data usage into account and that compared to many broadband deals the femtocell didn't use a huge amount of data. "It really does depend on individual circumstances," he said. "In my case I?ve got an allowance on my service of 500GB and I?ve never gone anywhere near that. "Really, there is no additional expense in my case. Individuals will have to take account of their unique circumstances.? Chad Ochocinco is fired up about moving to New England now that he's a member of the Patriots .... but he's not exactly ready to make a long term commitment when it comes to buying a place. Sources close to the wide receiver tell TMZ ... Chad plans to rent a townhouse for now and wants to see how this year goes with the Patriots before he plunks down a chunk of change on anything substantial. According to our sources, Chad doesn't need anything too fancy and would rather spend his time traveling back to Florida to see his fianc�e, Evelyn Lozada. Plus, he's gotta save up ... seeing as he might have to fork over some big bucks if he wants to keep his #85 jersey. 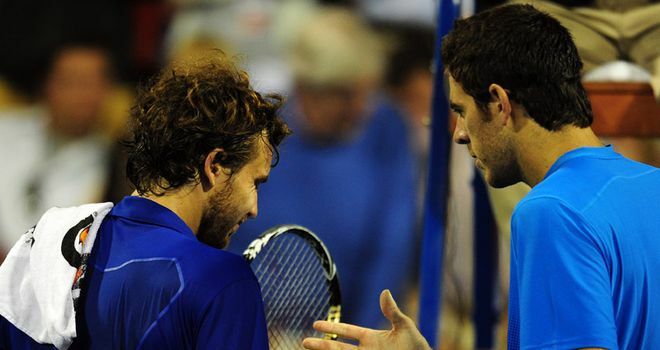 Second seed Juan Martin Del Potro suffered a shock exit at the Farmers Classic as Ernests Gulbis beat him to reach the semi-finals. It was the talented Latvian's first win in three meetings with the Argentinian, who struggled to make an impact on his opponent's serve during a 6-2 6-4 defeat. Gulbis will next meet is Alex Bogomolov Jr, who overcame fourth seed Thomaz Bellucci 1-6 6-4 6-1 to reach his first ATP Tour semi-final. The other last-four showdown will be an all-American affair between the top seed Mardy Fish and Ryan Harrison. Fish, who won last week's Atlanta Championships, beat Igor Kunitsyn 6-2 6-4 while his compatriot was a 3-6 6-3 6-4 winner over Lu Yen-hsun. ATP Los Angeles. Click here to bet. A man has been arrested after pelting Rupert Murdoch with foam at a British parliamentary hearing. A BRITISH man was convicted overnight of assaulting Rupert Murdoch with a foam pie at a parliamentary hearing into phone-hacking, as MPs demanded the tycoon and his son clarify their evidence from the session. The James Murdoch-chaired British pay-TV giant BSkyB meanwhile tried to calm the waters by offering STG1.0 billion ($A1.49 billion) in payouts to shareholders after the hacking scandal derailed a takeover bid by the Murdochs' US-based News Corp. The crisis has rocked Britain and shaken News Corp, but it also provided a bizarre interlude on July 19 when protester Jonathan May-Bowles splattered Murdoch with foam as the media mogul was being quizzed by lawmakers. Overnight the 26-year-old, a comedian who goes by the stage name of Jonnie Marbles, pleaded guilty at the City of Westminster Magistrates court in London to assault and to causing harassment, alarm or distress. The hearing was adjourned for pre-sentencing reports and May-Bowles was ordered to return to court to be sentenced next Tuesday. Murdoch and his son James were answering questions from lawmakers on the phone-hacking scandal at the News Corp-owned News of the World, which was closed down on July 7 amid public outrage. The chairman of the media committee, John Whittingdale, said overnight he will be writing to James Murdoch about his testimony. ''Certain individuals have raised questions about some of the evidence we have received. As a result of that, we are going to write to ask for further details from various areas where evidence is disputed,'' he said. It will also write to two former News of the World executives who said James Murdoch gave misleading evidence over how much he knew about the extent of hacking at the paper when he authorised a key payout to a victim in 2008. The committee said it will not yet recall James Murdoch to testify again. BSkyB confirmed overnight that James Murdoch will remain as chairman, as it posted bumper operating profits of STG1.073 billion ($A1.6 billion) in the 12 months to June, up 23 per cent on the previous year. But Britain's biggest satellite broadcaster said it also planned a share buyback of STG750 million ($A1.12 billion) and dividend of STG253 million ($A377.72 million) - moves seen as calming the waters after a recent share price collapse. The scandal had sparked calls for James Murdoch to resign the chairmanship of BSkyB, after two other Murdoch aides, Rebekah Brooks and Les Hinton, resigned from key posts in News Corp, but the company's board has given him its unanimous support. ''Following the withdrawal of the News Corporation proposal, the board will return to normal processes. James Murdoch remains chairman,'' BSkyB said in its annual results statement. Two people were jailed in 2007 over hacking at the News of the World, but the slow-burn scandal exploded on July 4 this year when it emerged the paper had hacked the voicemail messages of murdered schoolgirl Milly Dowler. A judge-led inquiry into the scandal opened on Thursday. Hours later fresh allegations emerged that an investigator blamed for much of the hacking had targeted the mother of Sarah Payne, a second murdered girl, on whose behalf the paper had campaigned. Ten people have been arrested since a police investigation was reopened in January. One of them was Andy Coulson, former NotW editor and media chief of Prime Minister David Cameron, bringing the scandal to the door of Downing St. The scandal claimed its latest victim overnight when the head of Britain's beleaguered Press Complaints Commission, Peta Buscombe, announced she will not renew her contract when it expires in the New Year. Two of Britain's top policeman have also resigned over Scotland Yard's links to Murdoch's empire. Paris, Nicky, & Lindsay -- Together! Like Hollywood's version of the Camp David Accords, Paris and Nicky Hilton reunited with their old long lost pal Lindsay Lohan for dinner in the Palisades last night. It appears Paris and Linds are super serious about rekindling their friendship -- they also partied together last weekend at Hilton's Malibu beach pad. Lucas Akins has signed a new one-year contract at Tranmere with the option of a further 12 months. The versatile striker, 22, joined Rovers last summer following a trial and went on to make 38 appearances during the 2010/11 campaign. 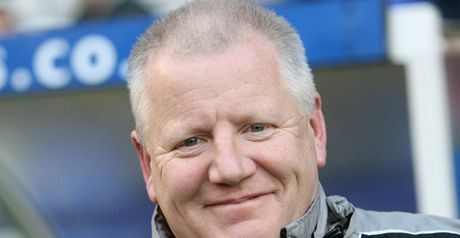 "I'm pleased to have sorted Lucas' contract out and glad he will be part of our squad again next season," Rovers boss Les Parry told the club's official website. "He was a regular in the side last season and his work ethic was fantastic on and off the pitch. "He improved throughout the season and hopefully will continue to push on as a player and show what he is capable of." Tranmere v Chesterfield. Click here to bet. TMZ's Beachin' Baby Contest -- Infant-astic! JoJo vs. Demi: Who'd You Rather? Chris Brown: There's a CONSPIRACY Against Me! LeBron to Shaq: Your DISS Means NOTHING To Me! Was this unidentified object once flying? 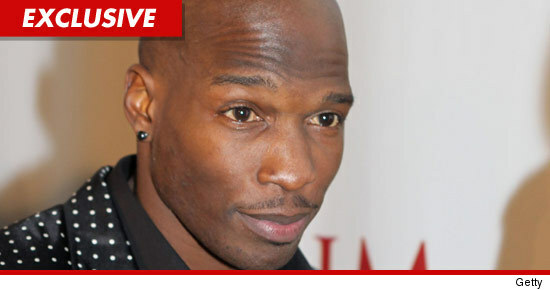 TMZ Live -- Who's NOT Suing Somebody? 'Curb' Star -- I'm HOPING For a Spin-Off! Superman & Lois Lane -- DUNZO!!! !